Inga is interested in the relationship between tragic discourse, cinematic form, and a ‘crisis of modernity’ in postwar Europe. In her current project, she combines genre, film theory and the philosophy of perception in a unique approach to Italian neorealism. 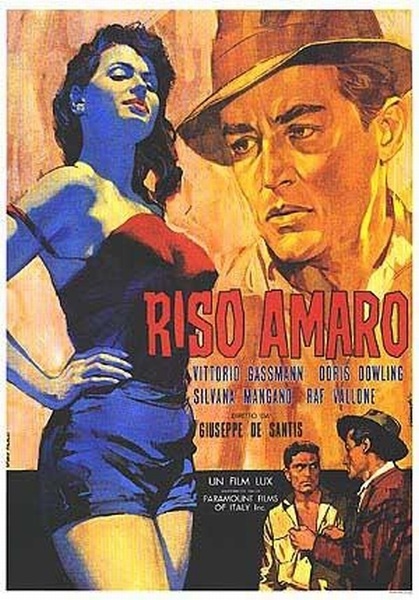 In contrast to other studies on the topic, she explores a variety of influences on the margins of Italian cinema—19th century literary naturalism, French poetic realism and American noir culture. Her work shows that tragedy is important in two successive phases of ‘cultural reconstruction’. In the forties, it fills the linguistic, political and social void precipitated by the war. Later, throughout the 1950s and 60s, it reconciles modernism with a sense of loss, which the avant-garde had previously avoided or excluded. In her next project, she plans to bring the discussion of tragedy to bear on Fellini, Antonioni, and the French New Wave. Dr. Pierson received her Ph.D. in Italian Studies from New York University in 2009. She is currently Lecturer in the Humanities at Stanford University where her teaching responsibilities cover interdisciplinary freshman seminars such as “Media & Message,” “Epic Journeys, Modern Quests,” and “The Wind of Freedom”. Previously she was Visiting Assistant Professor at Colgate University in Romance Languages and Film and Media Studies. She has taught courses in Italian literature, language, and culture as well as film history and media theory. Together with her students, she curates a website on film form – www.collegefilmandmediastudies.com. Her book project is entitled Towards a Poetics of Neorealism: Tragedy and Modernism in the Italian Cinema from the Late Fascist-era through the 1950s.